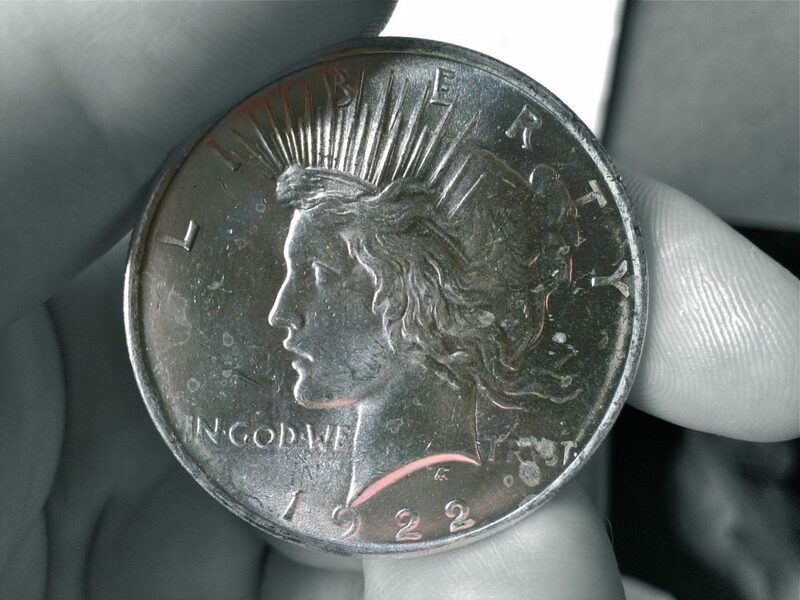 Coin collectors and bullion investors love to buy silver dollars — especially cheap silver dollars! For years, I’ve been advising people on the best ways to buy silver coins at the lowest prices. No matter what the silver bullion price is, there are several surefire strategies that virtually always work to help you score classic silver dollars at low prices — lower than the typical retail price at any given time. I have regularly paid less than the retail silver dollar values using these strategies. Hopefully, these budget coin collecting tips will help you buy silver dollars for less, too! TIP: Be sure you know what you’re getting and that the price is cheap — but not too cheap. After all, there are plenty of too-good-to-be-true “deals” in the coin world, most of which end up being scams! Find out more about who you’re buying from, know how much silver coins are worth, and make sure they have good customer ratings and are selling authentic, unaltered coins. When I was just getting into coin collecting in the 1990s as a teenager, I had little money to work with yet I had big dreams for my coin collection. I had to compromise here and there to get the coins I really wanted — and geez, did I want silver dollars! My coin dealer introduced me to buying cull silver dollars. Cull coins are those that have been cleaned, have damage, or are otherwise less than desirable in the eyes of many coin collectors. Still, they fit the bill when I need to fill holes in my coin collection. And cull silver dollars are perfect for silver bullion investors who want to buy pre-1965 junk silver coins (such as old silver dollars) for the cheapest possible price. Be sure to ask your coin dealer if they have any cull silver dollars available. If there isn’t a coin dealer near you, don’t forget that eBay is a great source to buy silver dollars for cheap. You’ve probably seen the advertisements for rolls of silver dollars or bags of silver dollars. These are usually deals involving bulk quantities of 90% silver coins. Like most things, even coins are usually cheaper when they’re bought in bulk — versus in smaller quantities, or individually. Depending on the quality of the coins or the dates offered, 20-coin rolls are usually the best way to go for buying cheap silver dollars without blowing a huge chunk of change at once. Because the number of coins is limited to just 20, it’s possible to acquire a roll of circulated Morgan dollars or Peace dollars for less than $500 when silver prices are under $20 per ounce. Bag quantities of Morgan and Peace dollars usually cost more overall than rolls since they typically contain more than 20 coins, but they generally offer cheaper prices per coin than even the rolls. Bags of Morgan and/or Peace dollars may range from 100 to 1,000 pieces or more. I’ve seen 1,000-coin bags of silver dollars sell for between $18,000 to $25,000 when silver is about $18 to $20 per ounce and the coins within are typical, circulated examples without any damage. 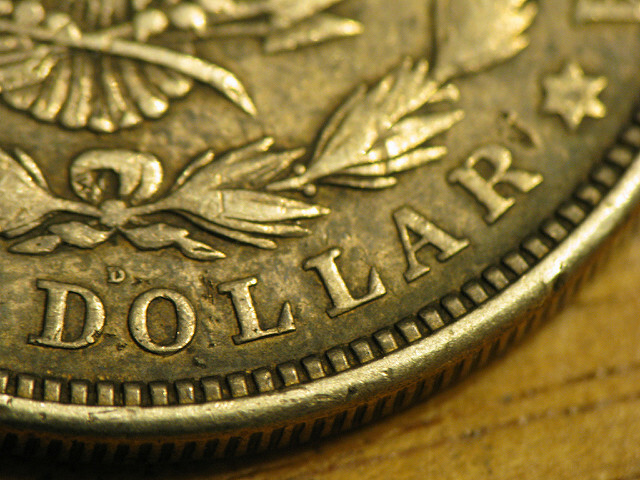 If you’re looking for certain dates of Morgan dollars or Peace dollars, then this tip isn’t for you. But if your goal is simply to buy silver dollars without regard to date or mintmark, then this tip is for you. The best thing about buying random-date silver dollar lots: The silver dollars are usually much cheaper than those sold in lots of coins from specific dates. Random-date silver dollars are usually offered by mail-order, on the Internet, and from eBay coin dealers. They’re also available at many bricks-and-mortar coin dealers in the form of silver dollars mixed in with one another inside a bin or bucket where every coin is labeled for the same price. Sort of those “You Pick Silver Dollars – $19.95 Each”-type deals. I advise this tip with one ethical caveat: don’t take advantage of the innocent. OK, let’s proceed. How many times do you drive through your neighborhood and see “Yard Sale” signs? Probably just about every Saturday on weekends where the weather is fair. 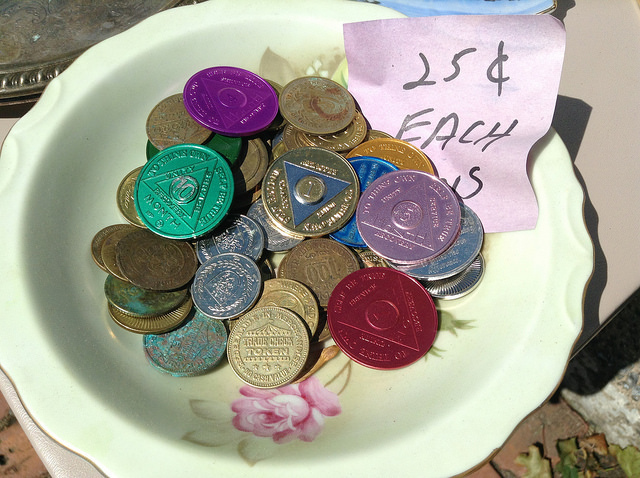 In many cases, those holding yard sales probably have no idea as to the value of the coins they’re selling. I know this because I’ve helped plenty of folks here through The Fun Times Guide, as well as friends and clients who have coins but say they have no clue what their coins are worth. Of course, if you do stop by a yard sale and find coins that you’re interested in buying, I suggest you be fair. I’d hope your conscience would kick in, even though you could potentially buy the most valuable silver dollars for an unheard of low price. Let her know the coin is worth much more than $10. And then proceed to offer a higher price — perhaps dealer bid. It’s fair for the seller, and fair for you. You’ve just committed a random act of kindness and bought a rare coin at a terrific deal! Yes, ethics in coin collecting is an important topic, but it’s one I’ll have to continue discussing on another day. For now, I wish you the best as you buy silver dollars for your collection! Of course, these same tips can be used when buying any types of old or rare coins at bargain prices — not just silver dollars. Good luck, and happy collecting!